How do I set up my Office 365 account? Nine supports Office 365 modern authentication (ADAL). Please refer to the following website. If you want to use Office 365 modern authentication, please choose 'Office 365' option when setting up your account. 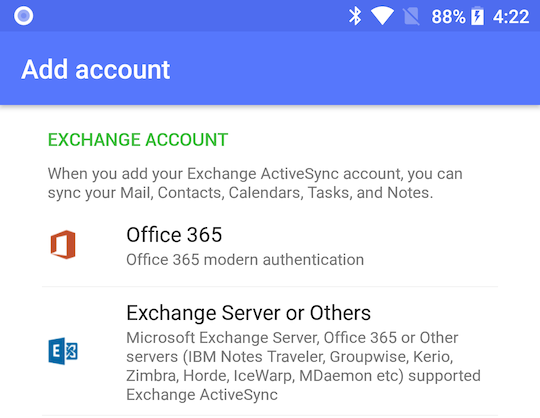 In the event of having problem with Office 365 modern authentication, please use 'Exchange Server or Others' option instead. When you found that Autodiscover is not working properly, you should use the following information for manual setup.